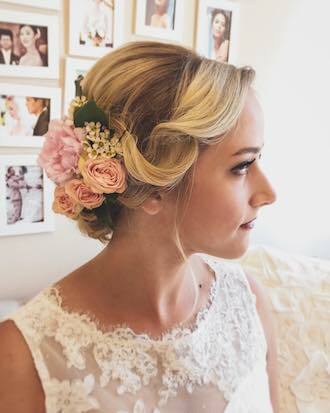 Calm, relaxing bridal trials at our studio in Union Square. 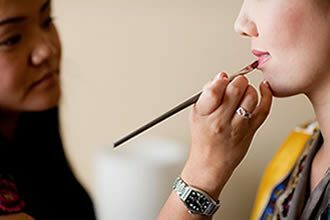 An important part of any professional training will focus on cleanliness, so when choosing your beauty vendor, make sure that your artist uses these best practices too. Below are some of the techniques we use to maintain the highest level of cleanliness with our clients. How is Triple Twist different? We make you look your best while maintaining the highest standard for cleanliness. 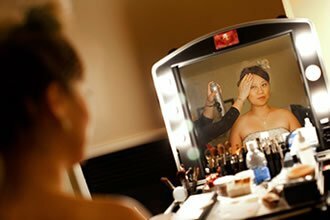 We only use professional makeup and hair products, purchased at professional outlets that require business licenses and permits. We use products from Shu Uemura, Chanel, Dior, Make-up Designory, Ben Nye, M-A-C, to list a few. We take cleanliness very seriously, and follow strict guidelines when it comes to maintaining clean equipment and a clean environment. 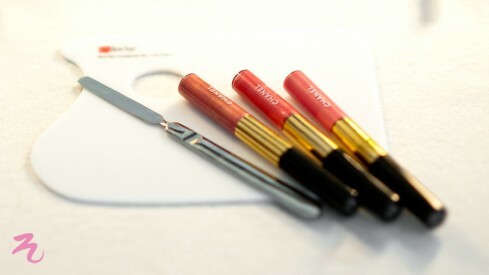 Triple Twist applies the best makeup industry techniques and practices for cleanliness. At Triple Twist we clean and dry all of our brushes with safe professional brush cleaner after every client. After a thorough cleaning, we allow the brushes to dry horizontally for 24 hours. We have multiple sets of our brushes, so there is always a disinfected, dry brush for every client. All lipstick is taken from the original packaging and applied to a clean Ben Nye palette. Lipstick and gloss are placed on the palette, then applied with a cleaned brush. This palette is cleaned with 99% isopropyl alcohol before and after each use. This method prevents transfer of product between clients. We use palettes to eliminate transfer of product between clients. The sponges, pads and puffs that we use in our sessions are used once per client. You are welcome to take the puffs home after your trial, otherwise they are disposed of. 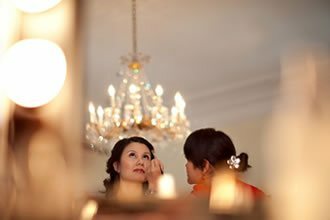 They are also great for quick touch-ups throughout the day on your wedding, as they contain your custom foundation color. Curling irons, flat irons, combs, and all other equipment are disinfected after each use, and our studio is cleaned daily by a maintenance crew. The studio hair is cleaned eight times per hour with a professional HEPA air purifier. I hope this helps answer some questions that you should have about cleanliness with your makeup and hair artist! Triple Twist’s ‘clean techniques’ are industry standard in Hollywood. 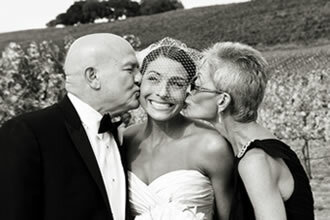 If you have any questions, feel free to contact us at 888-865-6960 or email at [email protected] Thanks!